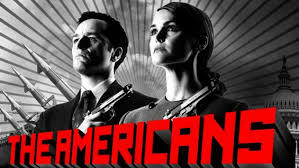 from The Americans – conversation between two deep cover KGB spies living double lives in America. Most of us aren’t living double lives like the spies in The Americans. Well, at least we aren’t doing it on purpose. But we do worry a lot. The spies are worried about getting caught; getting exposed for being something they are not. They are always looking at every person and every situation from a posture of threatening their existence. We are worried about…about what? What are you afraid of? The money running out? The kids going off the rails? Your health going down the drain? We look at things threatening us too. What if the economy tears away our livelihood or age or disease steals our health or bad people turn our children into bad people? How will we survive if that happens?? Spies develop elaborate cover stories and engage in activities intended to keep their secrets safe. In The Americans the two main spies have gone so far as to have two children together to make their fake marriage appear real. The children don’t even know they are pawns in international espionage. We have our own cover stories though. We build elaborate defenses to keep us safe and happy. We build financial walls. We pursue education or skills we think will keep us valuable. Some of us do have children because we want to feel our lives are meaningful. The thing you fear the worst will be very close to the thing you believe you can’t live without. And you may go to bed worrying about it on a regular basis. Worry is strangling in slow motion. Worry will not make you better at your job. Fear will not improve your parenting skills or make you a better lover. It will choke friendships and marriages and keep families from fulfilling their highest goals. It will chain you to places and jobs and people you should leave behind. Fear needs to be ruthlessly eliminated from our lives if we are going to live well. There is only one solution for getting rid of worry and fear, and it is counterintuitive. The way to defeat our fear is to embrace a higher fear; we must have a huge fear to defeat our little fears. The Bible teaches this. Our fear of everything else is supposed to be swallowed up in the fear of God. We are not supposed to deny the fears one by one. They exist. They are real. Some of our worst fears are going to come true. We don’t deny these things; we deflect them with our fear of God. How does this work? What is fear? It is a focus upon some object. It is something we must reflect upon in relation to our lives. If you are afraid of clowns and I tell you there is a clown in your living room, what are you going to do? Stay away from the living room! You’ll go out of your way to avoid that room. Fear is a reference point. Remember what I said about the spies – everything in every situation had to be looked at in relation to their lies and blowing their cover. A new man in the corner cafe reading a newspaper could be the FBI or the CIA staking them out. No rest for them, ever. If you keep your reference point on your bank account, your marriage, or your children, you will be afraid for those things all the time. If you move your reference point to God, you have only him to fear. What is higher than God? OK – I admit there is a hole in this method of getting rid of fear. If we move our reference point onto God, we also have moved our fear to the person with the greatest potential to destroy our lives. No one has more knowledge or power than God. No one could do more damage. Not only that, how do we know what our relationship is with God? If we are going to reposition everything relative to God, we have to know how that works. How do we know what He thinks of us? How do we know its safe? How do we know that fearing God is any different than fearing anything else? Because of the gospel, we can answer those questions. In the gospel fear is actually turned inside out. Whereas all the other fears (reference points) cause us to build defenses in order to keep the fearful things away, the fear of God lets us take down all the walls. Why? Because the One who had all the knowledge and all the power took all his knowledge and all his power and bent it down to help us, not to destroy us or condemn us. This is the Christian gospel – the good news – and it is either true or it is not. If God did what the Bible says he did for us, we can be sure that none of the things we fear outside of him are fatal to us. Paul sums it up in his letter to the Roman Christians: if God is for us, who can be against us? So I will show you another way. Believe the gospel. Believe God was and is willing to give up everything to have a relationship with you that is based on love not effort. This is what Christians call being “saved” or being “born again.” Either way, it is a completely different way to live that deals with our fears without denying or suppressing them. This entry was posted in Gospel, Life and tagged anxiety, depression, fear, Relationships, spies, The Americans by RonKJones. Bookmark the permalink.